Click on a chapter containing an image you’d like to edit. 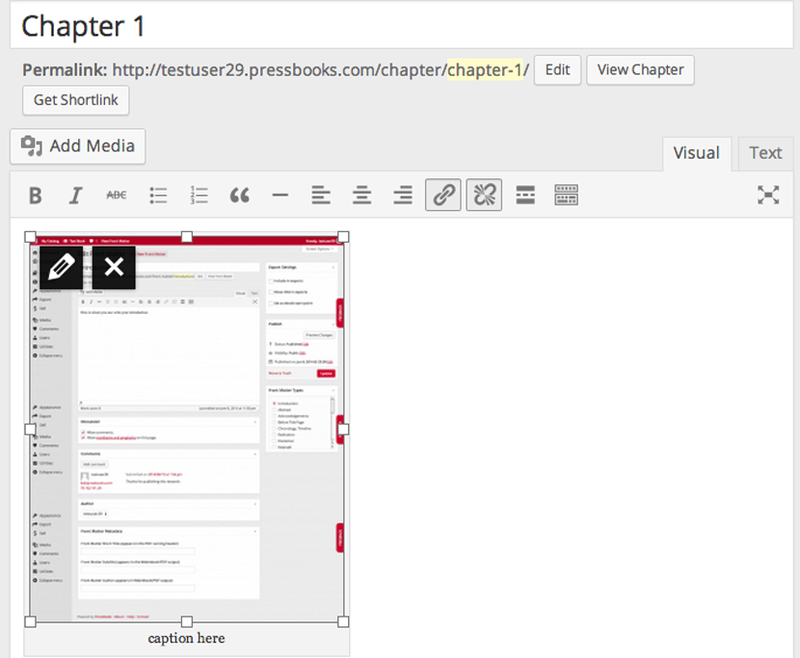 Once in edit mode in the chapter, click on the image. Click on the pencil icon at the top left of the image. This will bring up the image editing menu. 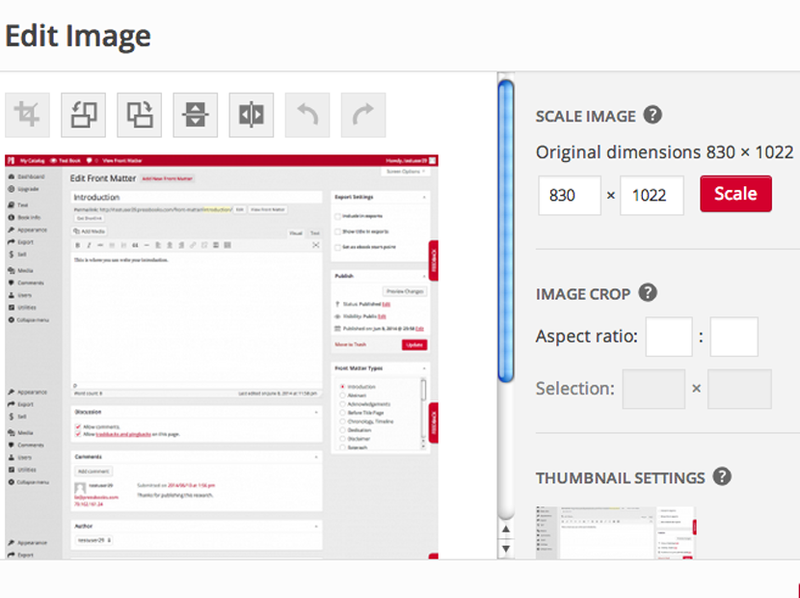 The first screen that appears allows you to edit the image’s relative size, alignment and how it displays, just as you could from the Media interface. Once in the image editing menu, you can edit many aspects of the image. Click on Edit Original to see additional editing options (pictured below). On the right, you can scale an image (this keeps the image’s current aspect ratio when making it smaller or larger). You can also crop an image. Indicate the desired aspect ratio or dimensions. The icons at the top left will allow you to Crop, Rotate Clockwise, Rotate Counterclockwise, Flip Vertically or Flip the image Horizontally. 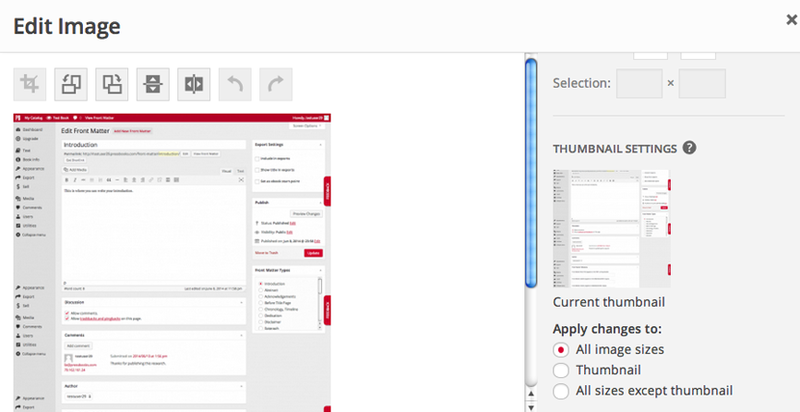 This tool allows you to manage the image Thumbnail Settings separately from the edits you’re making to the image. So you can make them the same or different. It’s very important for images to be styled in CSS divs. 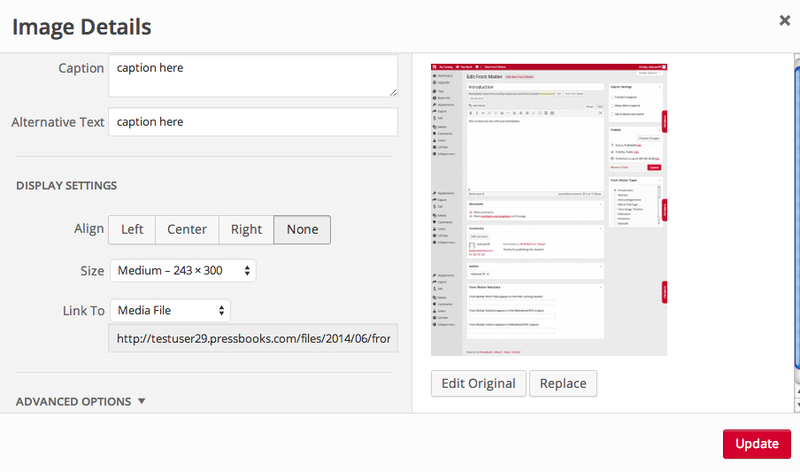 Pressbooks now allows you to apply CSS styles to your image. 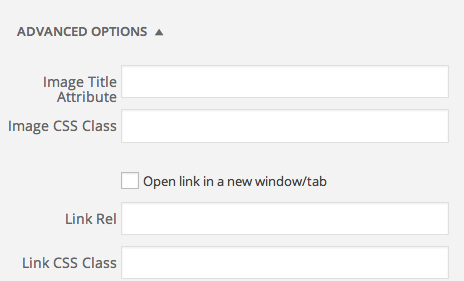 You can also style the image’s link and decide whether it should open a new browser window or not.